2.5" x 21", 2.5" x 40", 4" x 40", 4" x 80"
The 4S pressure vessel is designed for use as a sea water RO filter housing. Maximum working pressure of 1000 psi. 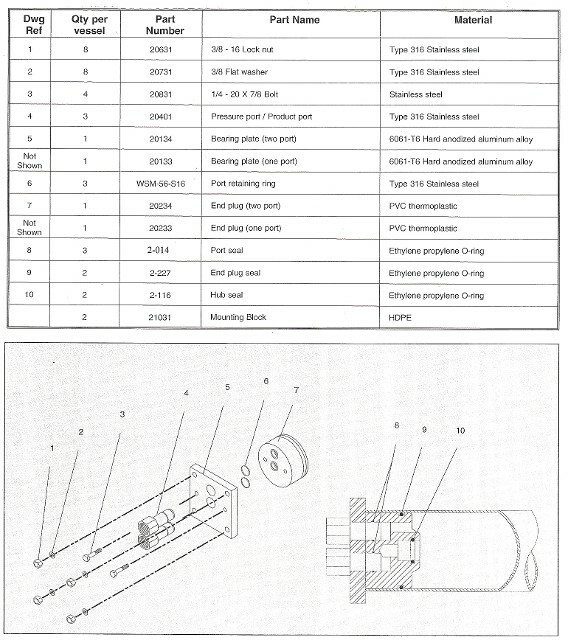 The simplified end closure design is easy to assemble. No special tools are required.